UNItiques is transforming into relovv! Yes it is. It will be available via App Store and Google Play for a free download this August 2018. We will still have a web version as relovv.com. Do I have to make a new profile? Yes. Our new listing system is much faster and is set up completely differently. It also matches your items with interested buyers (like a dating app) so you get more sold! Do I have funds in my UNItiques balance that I need to get? We have emailed the few people who have a remaining balance. If you did not get an email, this does not apply to you and there is no money in your balance. I have items on UNItiques, do I need to re-list them? Yes. The reason is, our new system has a different, faster upload. It also matches your items with interested buyers (like a dating app) so you get more sold! UNItiques is a website only. relovv is an app and website. Relovv is for everyone, not just college students. No commission. You tell us how much you want to make, and you always earn that much. Relovv feature: sell other people’s items by relovving them. They get automatically added to your profile. Earn money and sustainability points when relieved items sell. 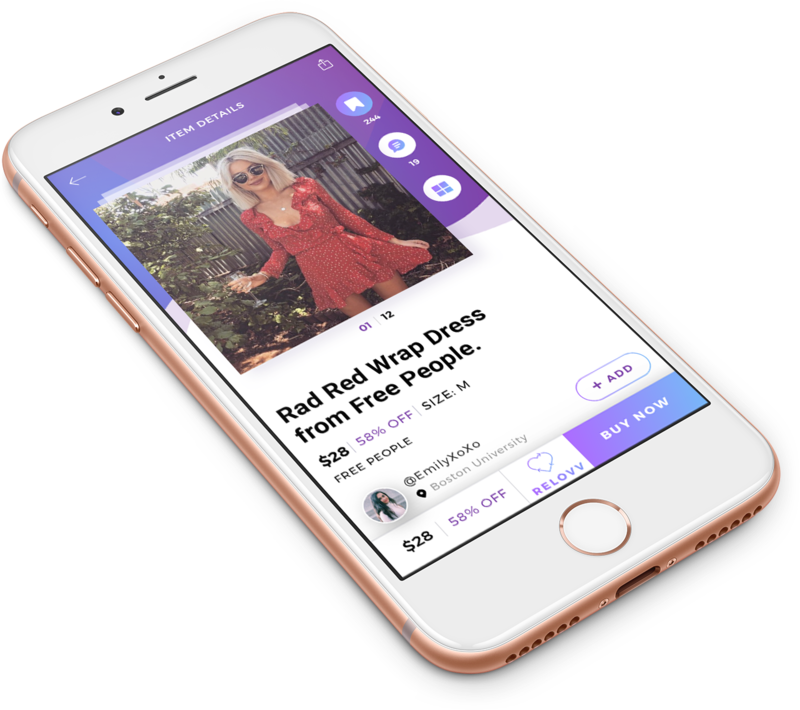 Matching: We match our buyers & sellers like a dating app so you’ll sell more faster and shop items that you’ll really love without browsing.